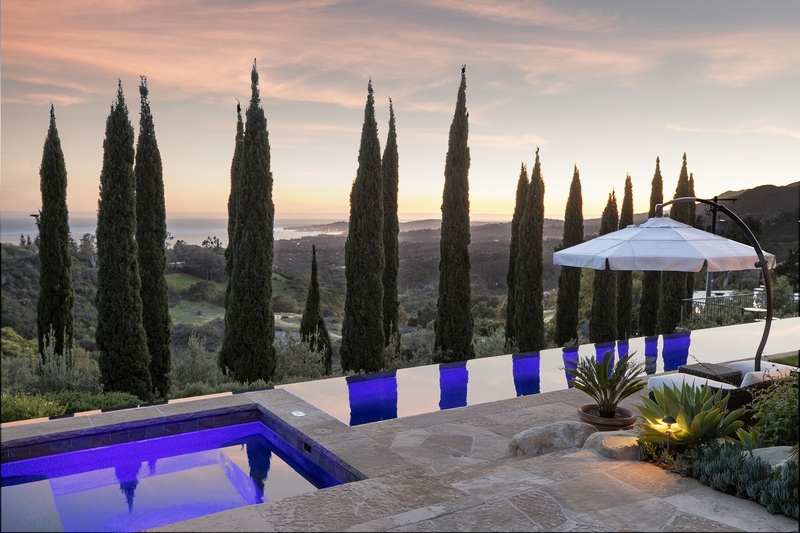 Few properties offer the panoramic sunrise and sunset views comparable to this Hidden Valley Lane estate in the Montecito foothills. 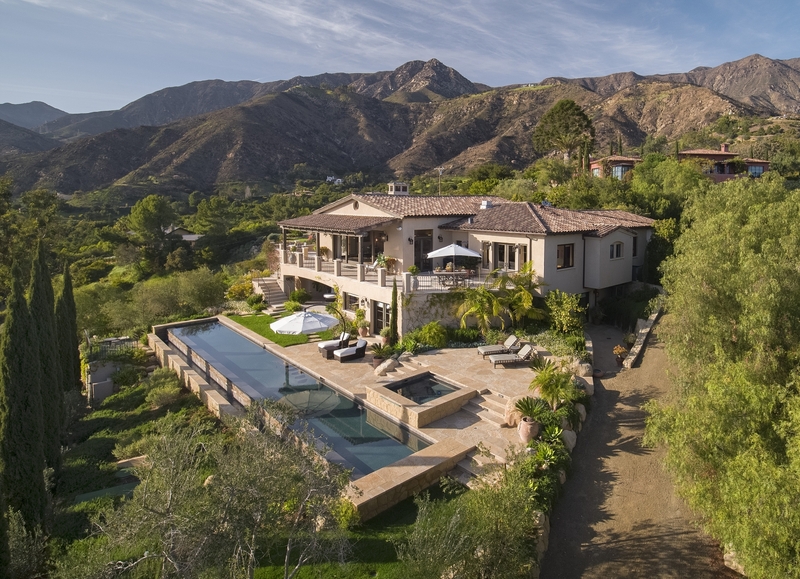 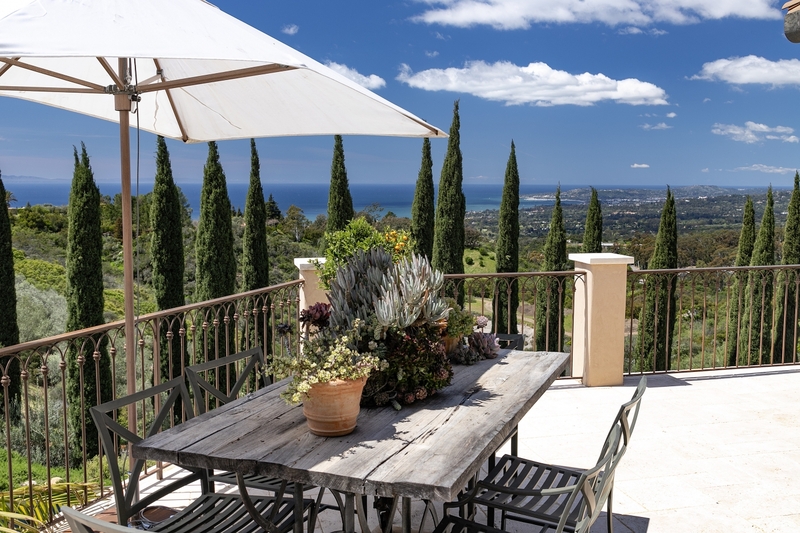 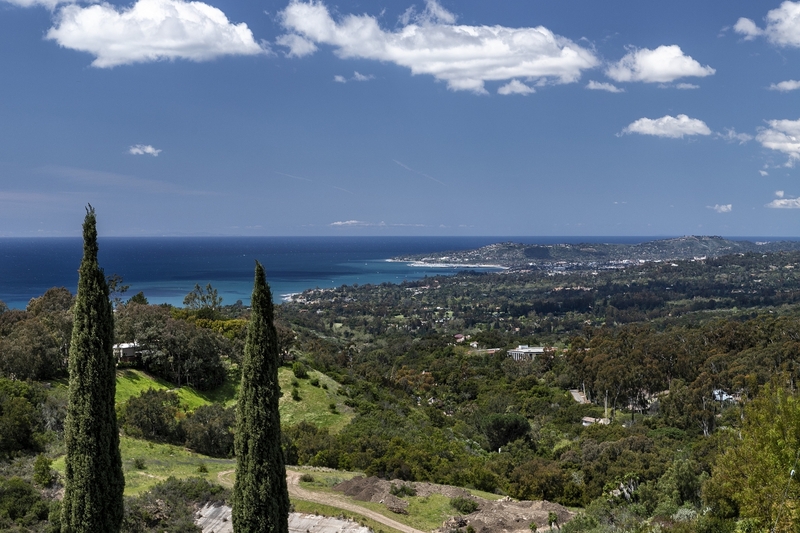 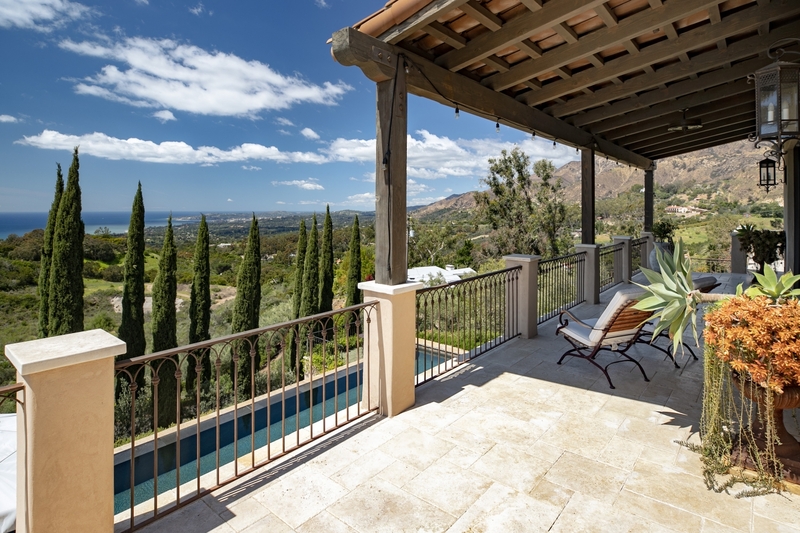 The Mediterranean Villa is perched on a terraced 3 acres and offers serene resort-style living, overlooking the stunning Santa Barbara coastline, mountains, and city lights. 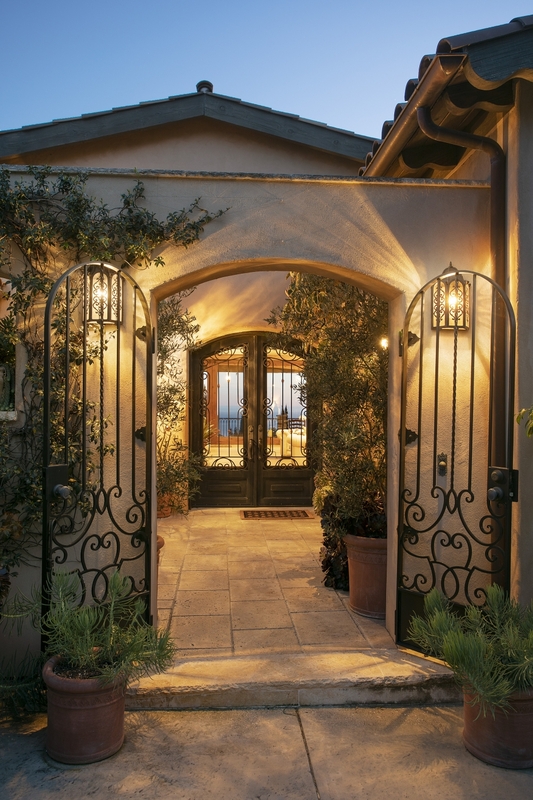 The home's grand, open floor plan welcomes you upon entrance, enjoying 3 bedrooms plus an office and 6 bathrooms in total, with cathedral ceilings, beautiful wide plank wood floors throughout, three fireplaces, custom hand-forged lighting fixtures, and gourmet kitchen with unlimited space for dining. 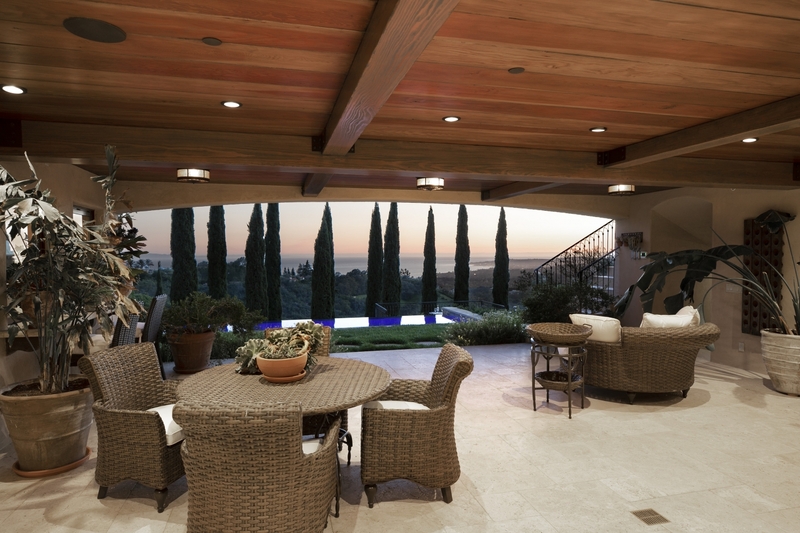 A generous veranda draws you outside to experience the captivating views and provides true indoor/outdoor living. 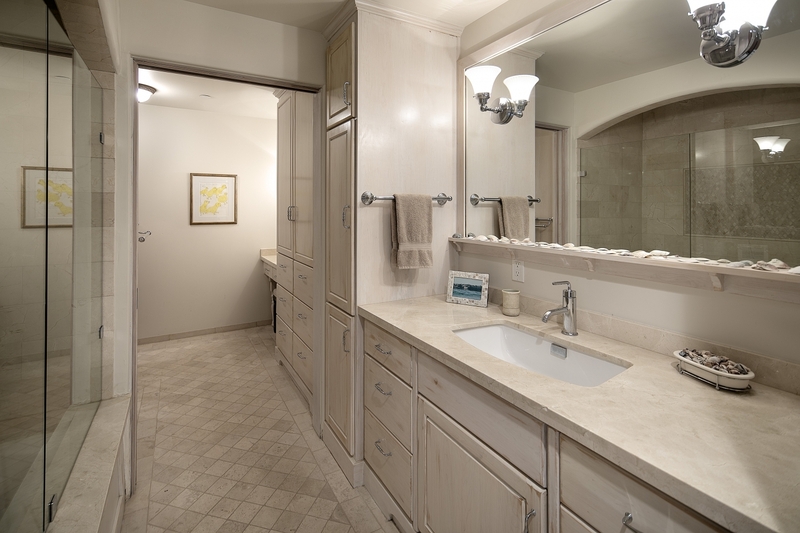 The main floor master suite features stately mountain vistas, ocean views, a luxurious bathroom, and large dressing room. 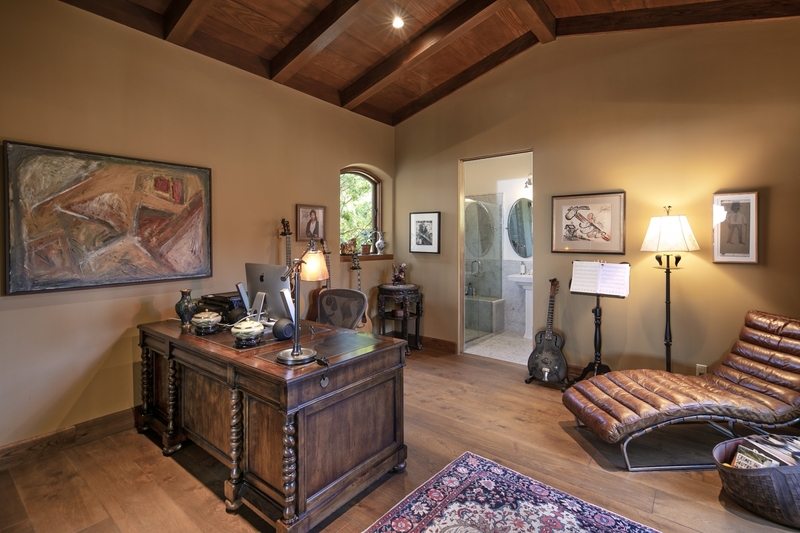 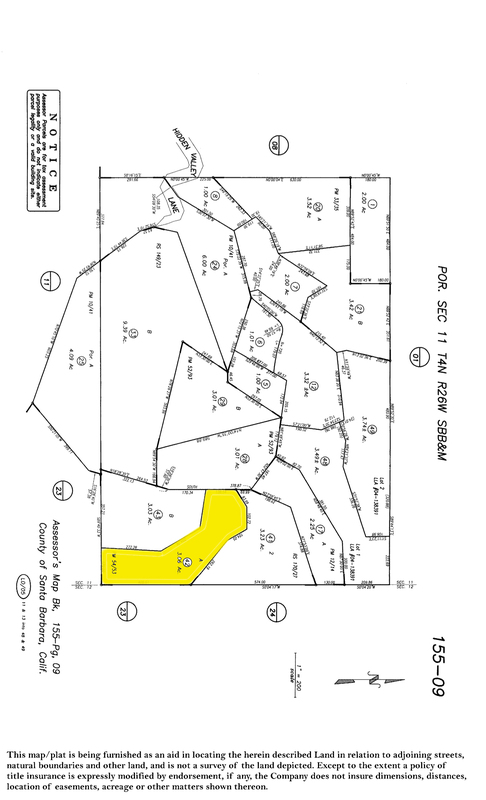 A handsome office with a vaulted wood beamed ceiling, two additional ensuite bedrooms, expansive laundry room, and an oversized 2-car garage complete the main level of the home. 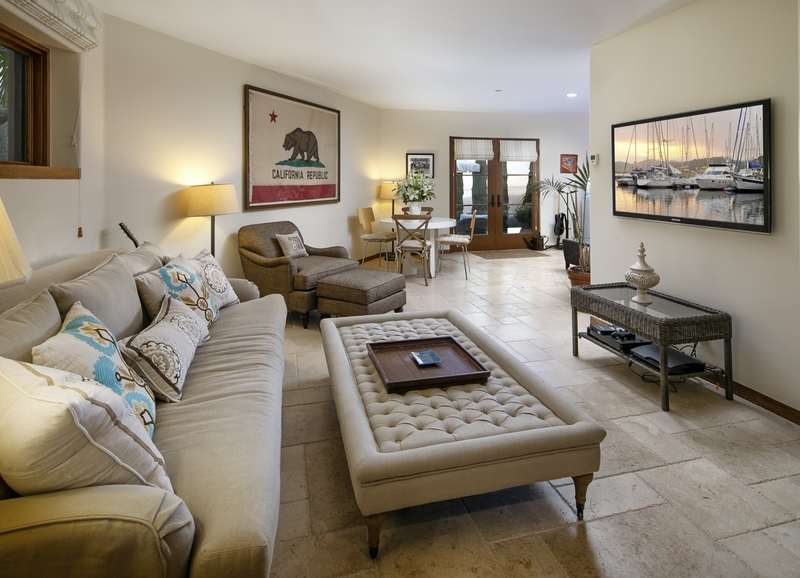 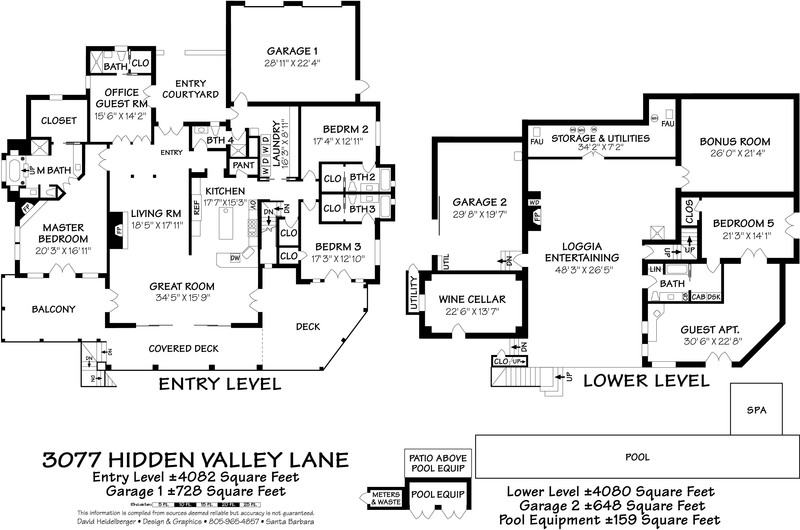 Below with its own private entrance, is a 1 bedroom, 1 bath guest wing with living area and kitchenette, along with a media room, spacious loggia style family room with bar, exercise area, large fireplace, wine cellar and an additional 2-car garage. 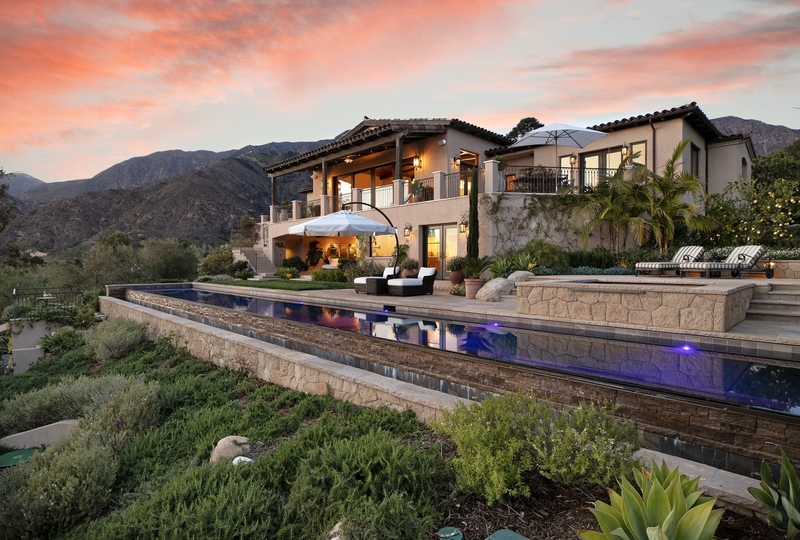 The lush and professionally landscaped grounds include an infinity edge 75 foot lap pool, spa, romantic courtyards, Cypress and olive trees, avocado and citrus orchards, among other fruit trees. 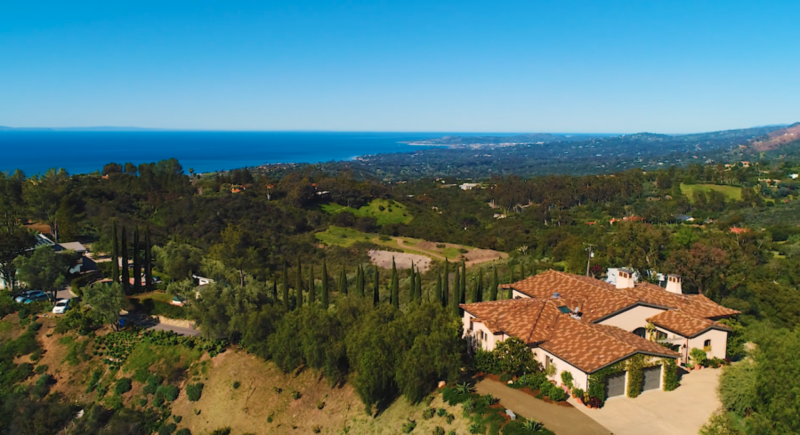 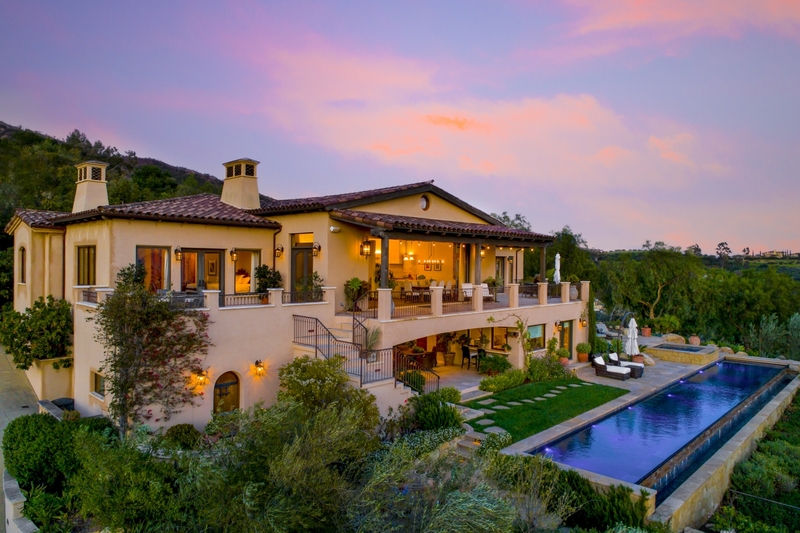 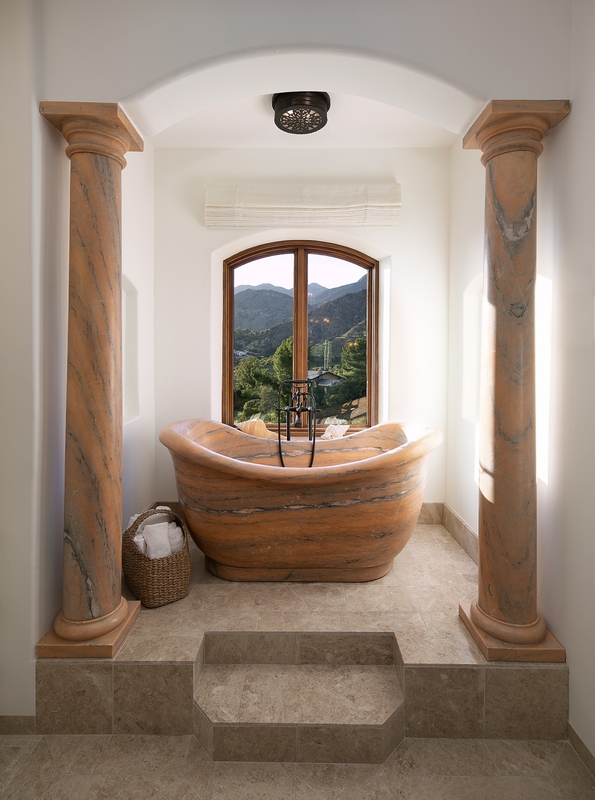 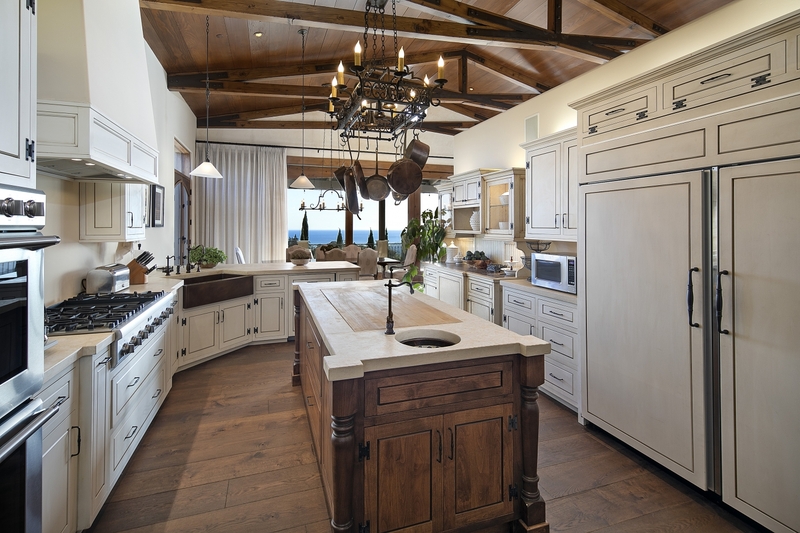 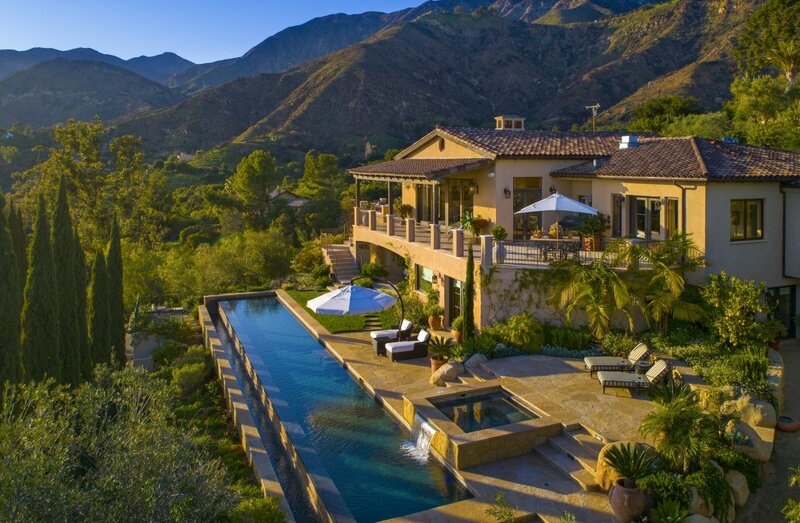 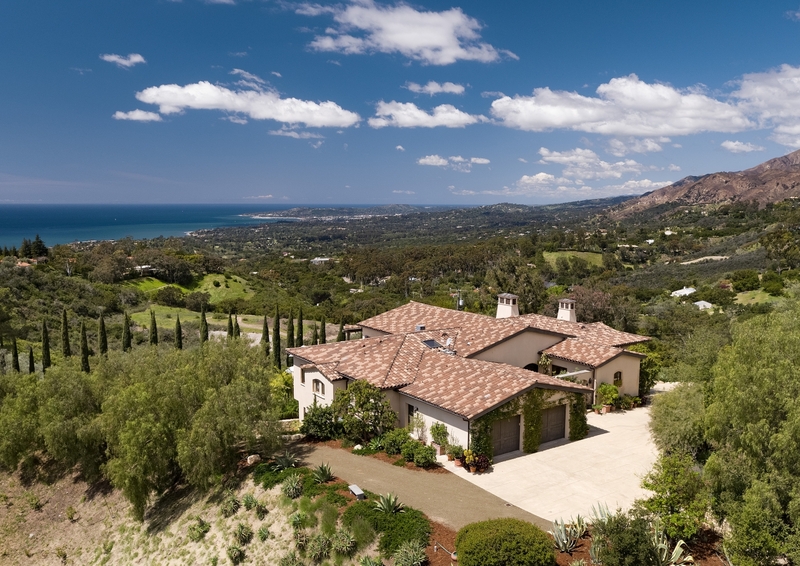 Reminiscent of a villa in the Italian countryside, this home offers an incredibly peaceful and private Santa Barbara lifestyle.